When I started planning the art lessons for this summer, it was back in December of last year. 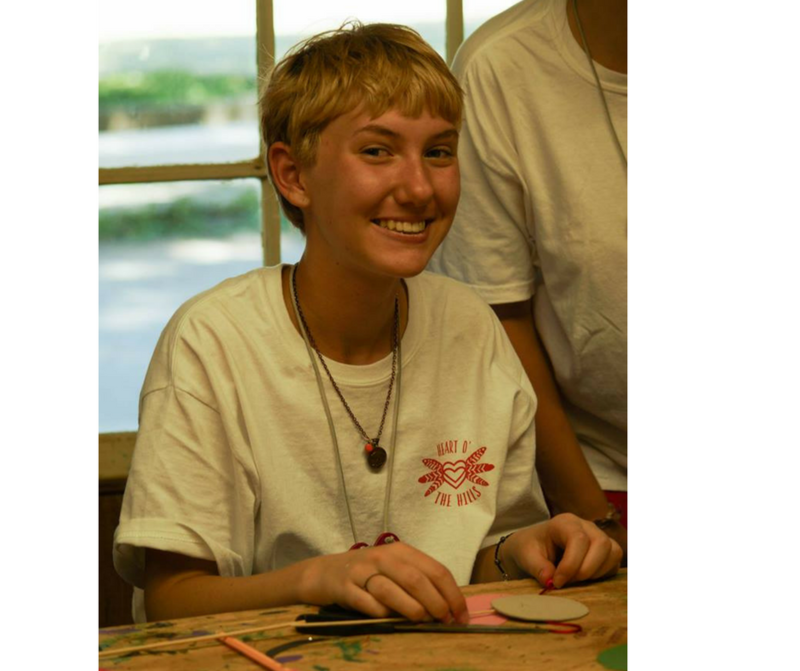 My main focus was for the campers to have fun, to have a variety of projects, and to use different artistic techniques. Little did I know that these heart girls would get so much more out of their art classes and would turn their projects into fine art! Often, people think of arts and crafts as busy time; just something to keep kids busy and fill time, but arts and crafts is so much more. Before we start any lesson, I show the campers an example of the project that I made ahead of time. This gives the campers an idea of what we are doing. But, what the campers make often exceeds what I make. They take my example and run with it. They make works of art, fine art! There is nothing like watching a camper complete their art project and then look at it with pride. These girls put their heart and souls into these projects. 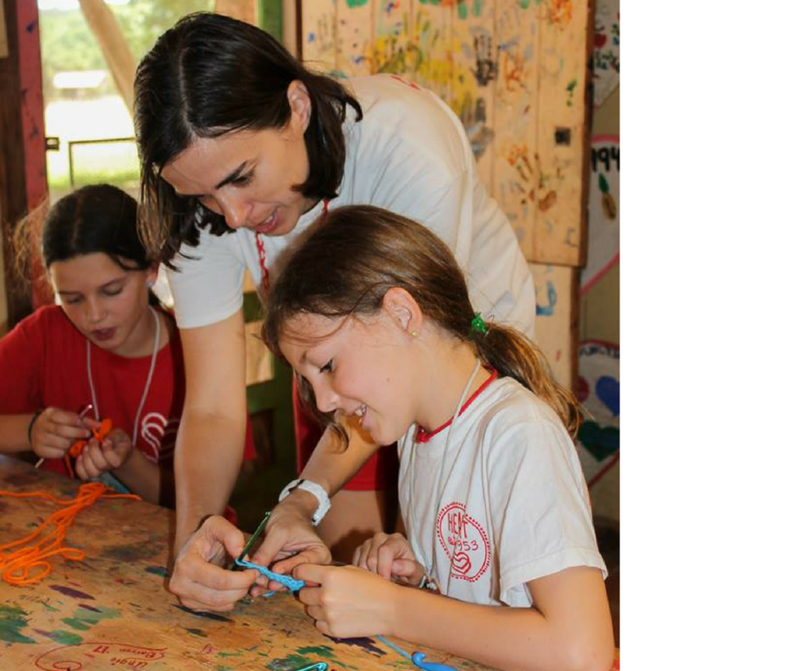 Campers are not just cutting and pasting, they are learning how to follow directions, experimenting with different ways to create a project, sometimes failing and restarting (which is a good lesson in and of itself), as well as learning how to express themselves through their art work. One project we recently made was a no-sew heart pillow out of felt. The results were amazing. Some girls turned their heart into a stuffed animal by adding googly eyes and yarn hair, some girls added beads and buttons to theirs (blue for Pawnees and green for Shawnees), while other girls kept theirs as a heart pillow. These pillows are something that they will treasure when they remember the summer of 2017, when they created many works of art! I can’t wait to see what all of the campers make next at Heart O’ the Hills Camp.